Stephen Hawking, the world-renowned British physicist and Cambridge Professor, has passed away at the age of 76. Hawking’s children, Lucy, Robert, and Tim said he died peacefully at his Cambridge home in the early hours of Wednesday. “He was a great scientist and an extraordinary man whose work and legacy will live on for many years. His courage and persistence with his brilliance and humor inspired people across the world,” said his family, in a statement. In 1963 at the age of 21, Hawking was diagnosed with amyotrophic lateral sclerosis (ALS), a degenerative motor neuron condition. Doctors expected him to live for just two more years, but because his form of the disease progressed slower than usual, he survived another 55. His condition eventually left him almost completely paralyzed and confined to a wheelchair. He was largely unable to speak, relying instead on a voice synthesizer controlled by small facial movements. 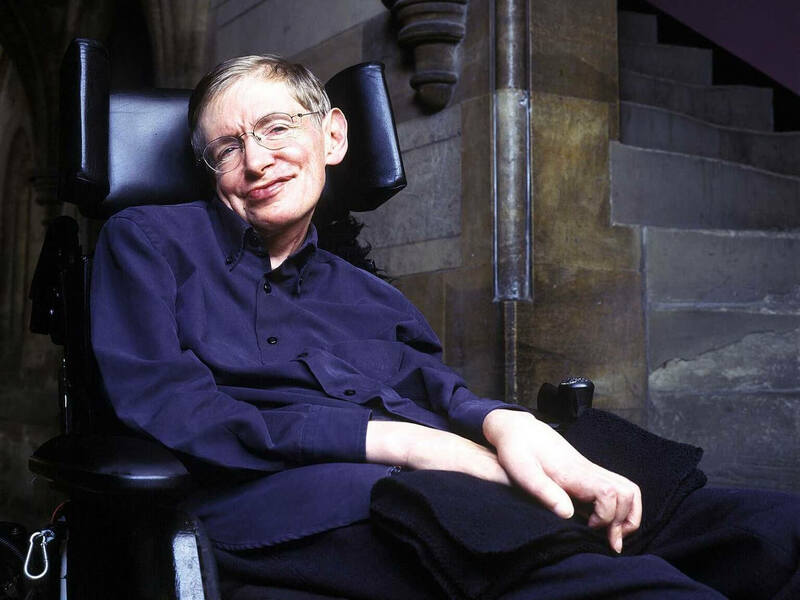 Hawking’s work brought together several fields of physical theory: gravitation, cosmology, quantum theory, thermodynamics, and information theory. In 1974, his Hawking radiation theory proposed that black holes radiated energy while gradually fading away to nothing, or, in the case of primordial black holes, exploded. Hawking’s work with mathematician Sir Roger Penrose showed that Einstein’s theory of relatively implies that the universe must have begun as a singularity. In 1979, he became the Lucasian Professor of Mathematics at the University of Cambridge, following in the footsteps of Sir Isaac Newton. Hawking’s fame grew after the publishing of his book, A Brief History of Time, in 1988. It sold 10 million copies and was translated into 40 languages. The scientist has appeared in a number of TV shows over the years, including Star Trek, The Simpsons, and The Big Bang Theory. But it was an Oscar-winning portrayal by Eddie Redmayne in 2014’s The Theory of Everything that cemented his position as the world’s most famous modern physicist. In recent years, Hawking had joined Elon Musk in voicing his concern over the dangers of unregulated artificial intelligence and the use of offensive autonomous weapons. He was also involved in projects that searched for extraterrestrial life and Earth-like planets.